Why make the regular ranch dip we’ve all had 1,000 times when you can make this Ranch Hummus instead?? 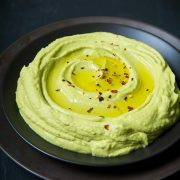 It’s got all the flavors of the classic ranch and all the flavors of the classic hummus together in one irresistible dip! It’s easy to make, it’s packed with flavor and it’s perfect for parties as it makes enough to feed a small crowd! 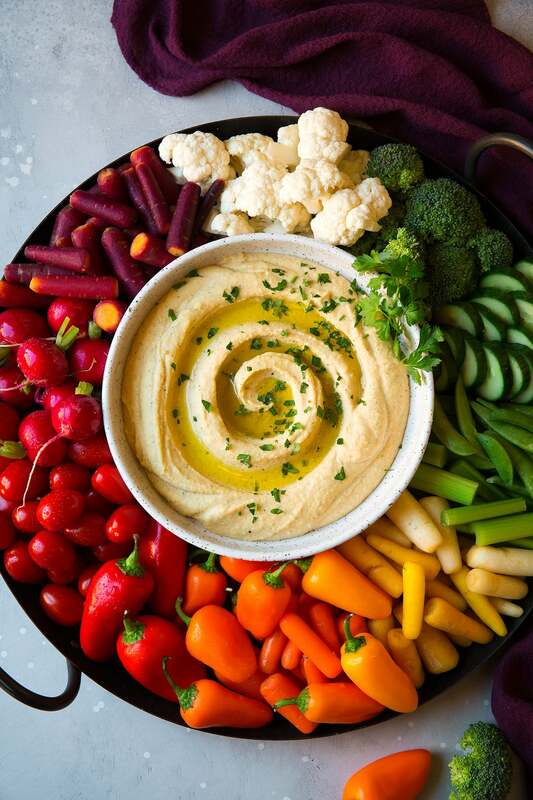 I mean who wouldn’t want to eat veggies when this dip is sitting around?? I myself quickly started to lose track of how many veggies I’d eaten. Dip after dip after dip. I made this into a shortcut version and used a Hidden Valley® Original Ranch® Seasoning Mix that I picked up at Walmart in the dressings aisle next to the dry mixes. 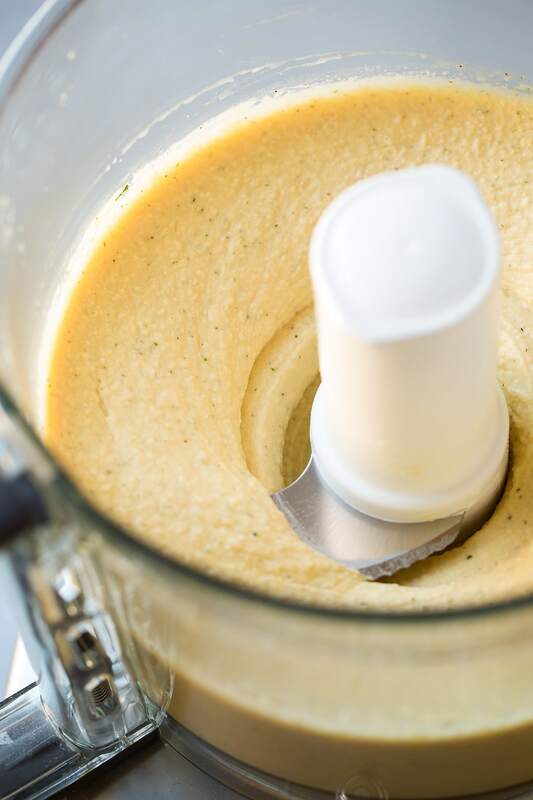 You may just see the dry dressing mix as just that – something to turn into a salad dressing to pour over your salad but it’s also a delicious way to add flavor to other things like chicken, potatoes and of course things like this ranch hummus. And it’s all too convenient, right? Do I Have to Add Tahini? It has so much flavor in fact that you really don’t even need the Tahini which is why I’ve listed it as optional. If you don’t already have it on hand you can definitely skip it instead of spending the extra money for it. 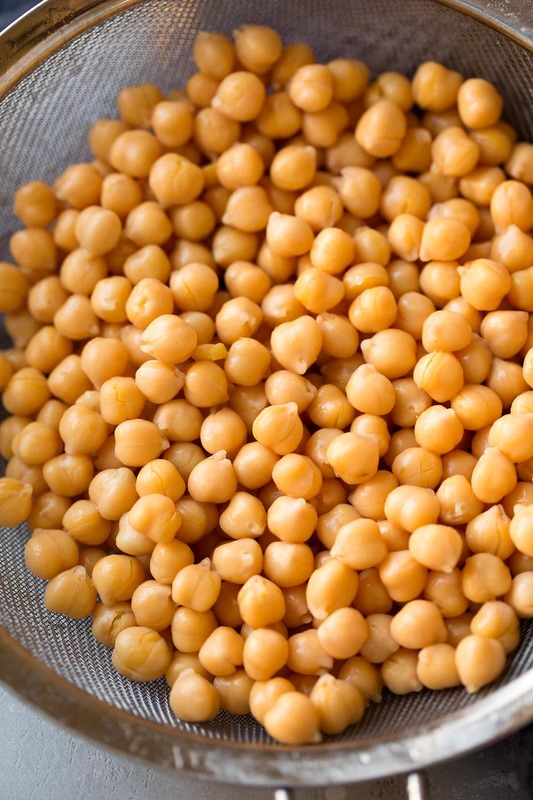 Really this recipe is mostly just about those chick peas and the dressing mix. 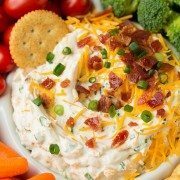 The lemon and garlic kick it up another notch but even without it this dip would still be tasty! And tasty things like so are perfect for holidays. Let’s not forget about those holiday snacks! People do start to get antsy for the main meal. A snack like this definitely will keep everyone happy until the meal is ready. 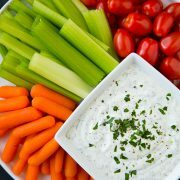 You can prep this dip and your veggie tray a day ahead then use Glad® Press’n Seal Wrap® to cover it. 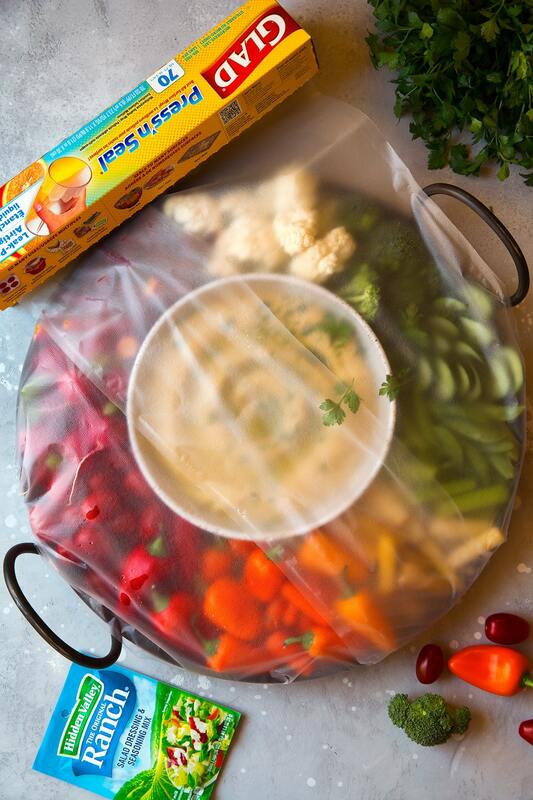 Walmart always sells Glad Press’n Seal Wrap for such a great price and it’s one of my go-to kitchen products for things like this dip tray. And all those random storage containers that have had lids disappear into the black hole in my house. I love that Glad Press’n Seal is BPA free plus I can use it on paper, plastic, wood or metal – like some of the wood plates and trays I own and this metal tray I used here. It really is a great product that I highly recommend you try if you haven’t already! I hope you guys love this dip! Add it to the holiday menu, because like I say, don’t forget about the snacks! Happy Holidays! For more delicious holiday recipes that use Hidden Valley products, check out Walmart.com here. 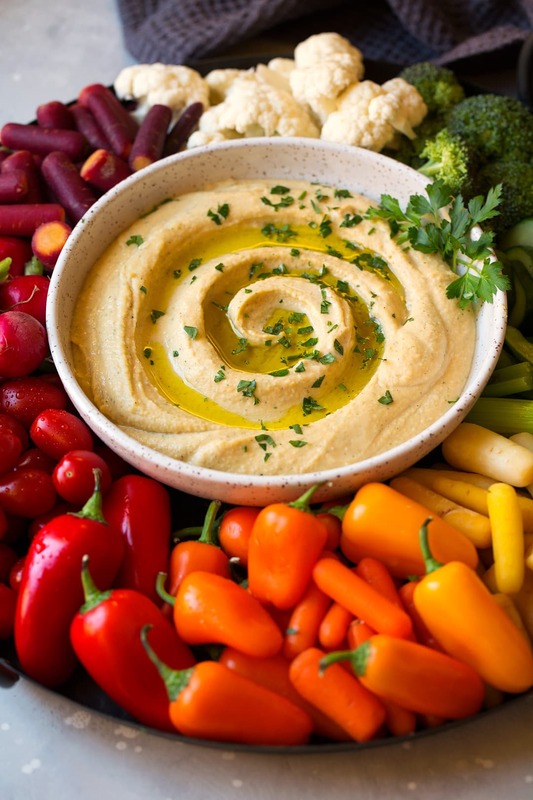 Flavorful, easy to make Ranch Hummus that's perfect for snacking and parties! Deliciously creamy with the just the right touch of that classic ranch taste. Note that the dip will thicken as it's sits and once it is chilled, you can thin with more water as needed.